Foodie tales | Life in a fast, furious, fugacious lane! The way to a man’s heart is through his stomach, goes the cliché. And when talk veers to north Indian cuisines, one is bound to fall in love with the exotic aroma of the spicy, mouth-watering delicacies that toss your calorie apprehensions to winds. The mere mention of rich north Indian food stirs butterflies in me. 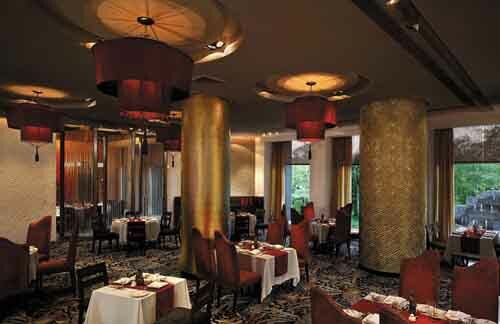 This week, destination was the famed eatery in South Delhi, The Kabila restaurant at Aurobindo Place. Though it certainly isn’t my favourite places to savour food, many recommend it and lots of locals flock here too. Nestled in a beautiful setting, Kabila is a fun experience for guests. The food is authentic enough that anyone not snobbish about Indian food will enjoy it. Ambience is alluring that flushes out positive vibes, and sets mood for a perfect dining. Pipe music in the background adds to the cool quotient of the eatery. I am escorted to the seat in middle, facing the delightfully decorated ceramic objects. I fasten my seat belts. Menu is intimidating. Choices galore. In a jiffy, my table is choc-o-bloc with decadent delicacies. Chicken Tikka, the traditionally baked skewers with small pieces of chicken in tandoor after marinating in spices and yogurt, is delectable. It’s followed by Murg Malai kebab; a yummy chicken preparation flavoured with spices and rounded off with malai. A munch of delicious Tawa Biryani, biryani prepared on tawa (cast-iron griddle) is hard to resist. Bhoona Gosht, succulent mutton pieces grilled in hot tandoor is another item that leaves one licking fingers. For bread, you have Paneer kulcha and naan, cooked on an iron griddle. Naan is soft and fluffy, made from plain flour with a little bit of yeast. Then come the desserts. A sumptuous meal is never complete without gajar ka halwa, the perennial favourite traditional dessert made of carrot pudding. Gulab jamun, milk balls made in sweet syrup and kulfi, flavoured frozen dessert made from milk almost complete the feast on sweet note. The bottom line: At Kabila, food stands up to the hype, an ideal sit-down option for high-quality food. I would say this is a basic restaurant of well above average quality. They aren’t doing anything wondrous here, just offering the basics better than most. 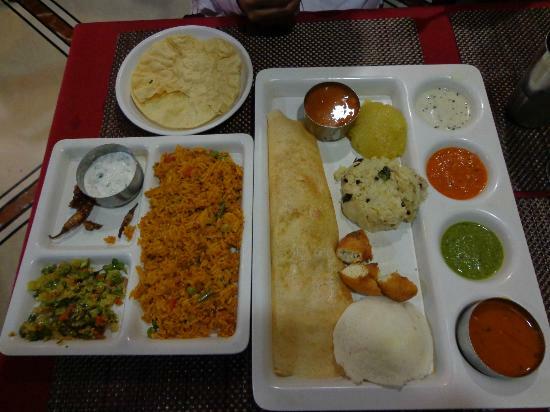 If you are sauntering around in search of quality, eclectic South Indian food, this is the place for you. 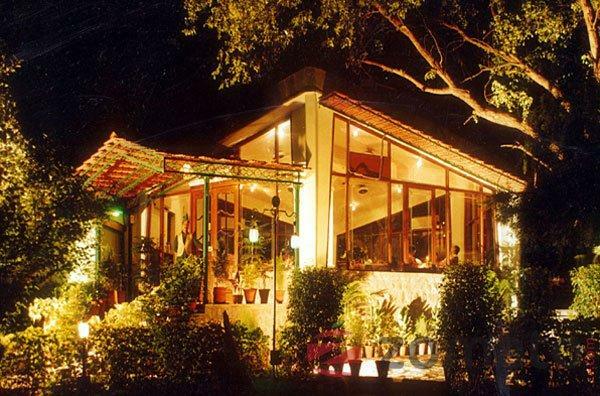 Located in the heart of South Delhi, Evergreen offers the perfect opportunity to escape the hustle and bustle of city and discover the multitude of unique dining experiences under a single roof. With its warm and modest interiors, cosy indoor seating and scrumptious food, Evergreen enjoys the reputation of being the favourite South Indian eatery in this part of city. It started as a confectionery shop of traditional Indian sweets, but soon North and South Indian snacks and main courses were added to the fare. It’s all-time favourites include Samosa Chaat, Creamy R… as Malai and hot Chhole Bhature. The two-storey restaurant has confectionary and sweet counters on ground floor and a huge dining space on the upper floor. As we step in, a broad zigzag staircase leads us to the dining hall, with modest but striking interiors. The ambience is romantic, with Valentine balloons floating all around, jazzing up the mood for a leisurely evening over palatable food. We start with the South Indian delicacy Paneer Dosa, stuffed with sautéed cottage cheese and capsicum. Then we move onto other offerings. Navrattan Biryani, a Mughlai dish prepared from nine different vegetables and fruit and nuts, is delectable. Rice Pulao, a marvellous blend of exotic spices is a rice lover’s delight. Mushroom Fried Rice, a popular Chinese dish is again delicious. A bite of special Evergreen Pizza leaves you craving for more. Traditional Indian desserts like Gulabjamun, Rasmalai, and Gajar ka halwa follow it. Kulfi Faluda, a Mughlai-Iranian dessert completes the formalities. The clock is ticking away and it’s time to leave. Bottom-line: For scrumptious meal at moderate rate, head off to Evergreen. My critic friends say this Defence Colony eatery has deteriorated in quality and class since its prime few years back. But before being judgemental, I decided to check it out myself. Aka Saka has been in business of serving the typical not-so-Indianised Chinese food for past 25 years now. Last week, I dashed off to the famed eatery, looking for some spicy and authentic Japanese and Chinese food. The hush interiors are in sharp contrast to the hustle and bustle outside. The dining area is spacious as per Delhi standards. The ambience is alluring and the soft music playing in background sets up the mood for no-holds-barred dining. I make myself comfy on a corner seat, over-looking a beautiful piece of abstract art. Quality of food is above-par. It’s not the typical indianised version of Chinese food, or like the modern Chinese offerings, where you struggle to make sense of taste. Most of the dishes are recognisable by their names and then the staff is always ready to help you out. With an Indo-Chinese cuisine marked by The Sweet and Sour Soup, Kung Pao Chicken, Mongolian Potatoes, Drums of Heaven and Chowmein, and authentic Japanese fare, Aka Saka is more than an over-priced eatery. The delicacies like Kimizu, Japanese soups, Japanese Potato Salad, Chilli Chicken, Momos, Chilli Paneer, Chicken Chowmien are excellent. But the favourites remain the delicious spring rolls and the wholesome Talumein soup. One can also spot lot of youngsters during the happy hours sipping on beer. Tailpiece: The eatery, though little over-priced, is worth your money. The hype is justifiable. And criticism largely unwarranted. One fine evening, many years back, a bunch of friends were celebrating the New Years Eve in Panchgini, sipping on coffee and smoking a sheesha. That is when one of the friends proposed an intriguing idea that was to change their lives and fortunes forever. The three friends had a brain-storming session and soon they found themselves working on what has now emerged as a hugely profitable business model. Riyaz Matlani, CEO & MD, Impresario Entertainment & Hospitality Pvt. Ltd.’s (IEHPL), fondly reminisces about those days when the flagship brand of the group, Mocha, kick-started its journey in 2001. “I have always believe in my instincts. I was so sure that the idea would click that when I got back to Bombay, I quit my job a few months later and called up two of those friends to start working on that remarkable idea,” says Matlani. Mocha has come a long way ever since, expanding to 19 outlets in 8 cities, brewing a social revolution over endless coffees and conversations. When Matlani started looking to expand the line in Delhi, he found an ideal business partner in Shiv Karan Singh. “Shiv was my first choice for a partner. He knows the pulse of the market and understands the city’s restaurant space better than anyone.” At that stage, Mocha had not yet started franchise options and together Shiv Karan and Matlani worked on the model and today there are six outlets in the city. The latest outlet was unveiled recently at posh Civil Lines area. Taking root over 2,200 sq feet, the outlet basks in the shade of a giant neem tree. 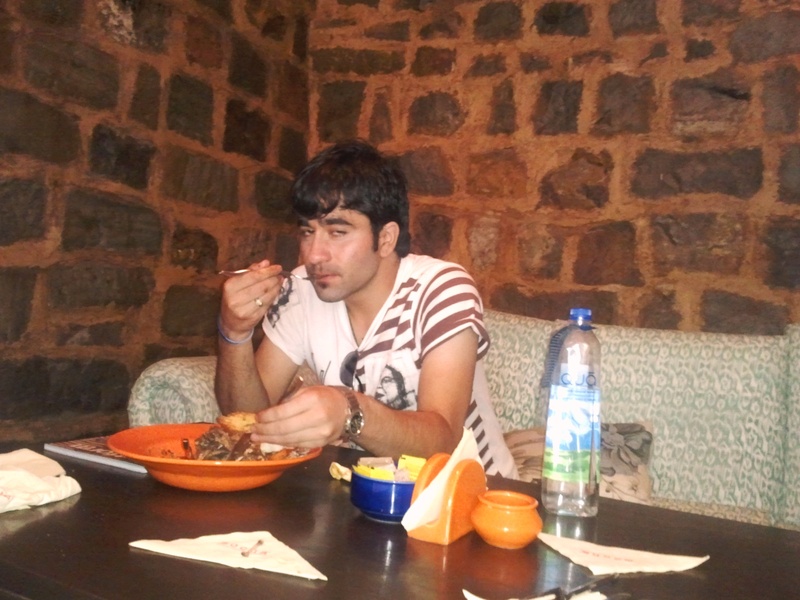 “North Delhi did not have Mocha and most college students had to go to South Delhi to enjoy the Mocha experience. Now with Mocha at Civil Lines, just a five minute metro ride away, students can rejoice,” says Manharan Singh, the franchise partner of Mocha. Over the years, Mocha has earned the reputation of being the first-of-its-kind indigenous and eclectic coffee chain, known not just for its menu, but also for the varied experiences it has brought to the café culture. Besides the tremendous customer feedback, it has also won many a food awards since 2003. “The journey has been exhilarating, challenging, and very rewarding. This year, Mocha will be completing a decade of operations and we have never been more energetic and ready to do more,” says Matlani. When Mocha started out as a 500sq ft coffee shop in a rented space at Churchgate Mumbai, Matlani and his friends never expected it to become such a pioneering concept. “In the last 10 years, we’ve worked really hard to maintain and better the consistency and quality of our products, while setting benchmarks in the segment,” says Matlani. What, according to Matlani and Shiv Karan, makes Mocha so different from other run-of-the-mill coffee shops, is that each of the outlets is ‘handmade’ and treated like a standalone with careful thought, new ideas and a lot of love going into its creation. “Every time we open a new space, we let the location inspire a little bit of the design. Of course, the essence of the elements that go into creating each outlet is to bring out the nostalgia, warmth and wonder that you sense each time you visit a new location,” says Matlani. Another key component of Mocha is their philosophy of community that has inspired the Mocha Clubs (like the Mocha Film Cub, Mocha Bike Association, Mocha Trip and Mocha TreeHuggers among others) in bringing people together over shared passions and interests, be it film, travel, biking or art. 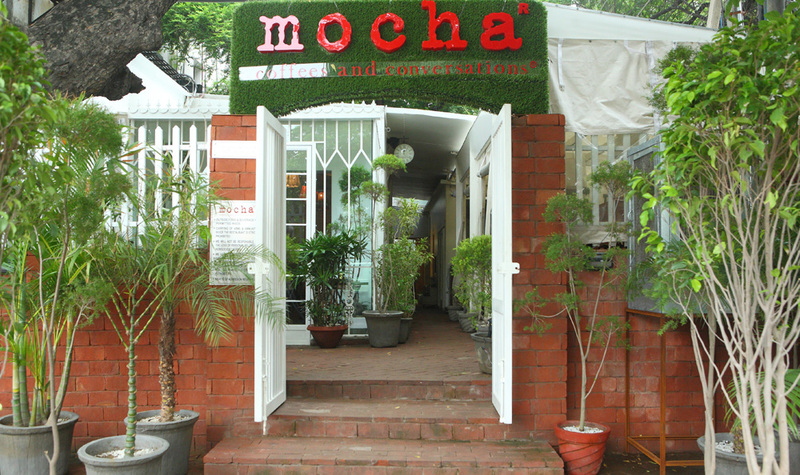 After getting a renewed round of investments for its expansion, the owners are looking to work on building on and strengthening the Mocha brand. “Mocha currently has 19 outlets and we aim to open 22 new Mochaoutlets across the country by 2014,” says confident Matlani. Recently, during his Lucknow visit, when Rahul Gandhi chose to feast on Lucknow’s famed tunde ke kebabs over a sumptuous dinner in a five-star hotel, it made news. But Gandhi scion is not the first big name to succumb to temptations of tunde kebabs, and he certainly won’t be the last either. There is good news for food lovers in Delhi. Now, they won’t have to board Gomti train to have a bite of kebabs. Tunde ke kebabs have come to their doorsteps now, with a franchise outlet in Daryaganj. Tunde ke kebabs have inspired many a legends. 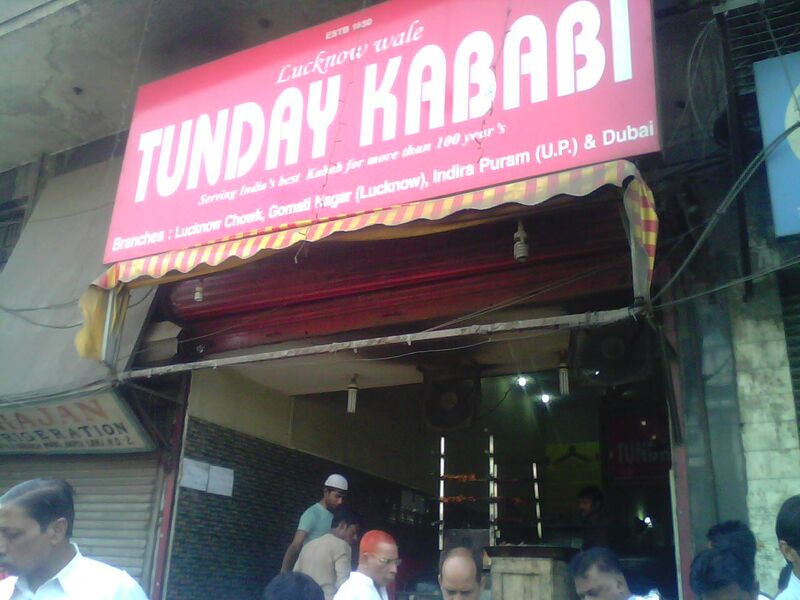 The 100-year old Tunde ke Kabab in Lucknow is one-stop destination for kebab lovers, who come there from far-off places. There is an interesting story behind the name ‘Tunde Kabab’, as it was a specialty of a one-armed chef Mohammad Osman Haji. These kababs are unique because of the masala (homemade spices). An assortment of 160 spices is a closely guarded gastronomical secret from the kitchens of the last of the kings, Nawab Wajid Ali Shah, who was a self-confessed food lover. There is something called ‘kachari’ that helps to tenderise the meat, and ‘pathar ka phool’ that lends kebabs a unique flavour. Originally from Lucknow, they have now branched out to many places, including Delhi and NCR. Daryaganj outlet is already a hit with kebab lovers across the city. 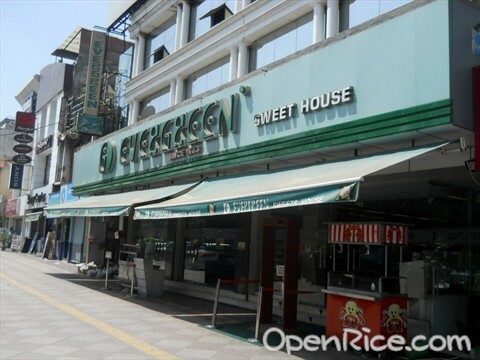 Located just next to popular Golcha cinema, it may not classify as a high-end eatery, not even the pedestrian outlet. If you expect luxury couches and soothing music running in the background, you will be disappointed. But once the aroma of kebabs fills the senses, you forget all other luxuries. They also have come up with an outlet in New Friends Colony. Many of those who have tried kebabs from their Lucknow outlet are not very impressed though. But for starters, it is god-sent, almost.